Breakfast Cereal – What’s in your bowl? Often hailed as the ‘most important meal of the day’, a decent breakfast certainly has a range of health benefits. As well as providing nutrients, if you have diabetes, a regular healthy breakfast can help to maintain control of blood sugar, can minimise unhealthy snacking later on, and fuels your body to help you function ahead of a busy day. If you’re breakfasting-ing on sugary cereals, this could account for almost all of your daily sugar intake in one go – leading to health problems and dental decay. When it comes to breakfast time, cereal remains a popular, convenient, and speedy choice. With the choice on supermarket shelves growing over the years, it can be tricky to choose the healthiest option. 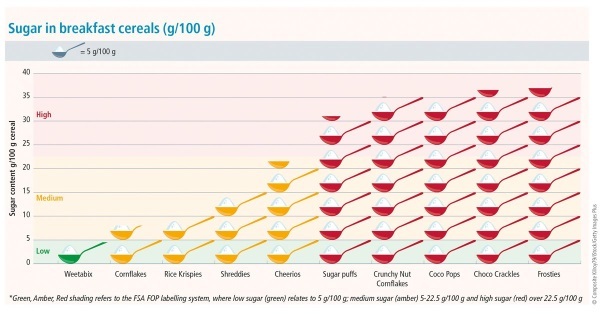 To make things easier, here are 10 well-known cereals which we have looked closely at the nutritional value to see how they perform in terms of sugar, fat, and fibre. 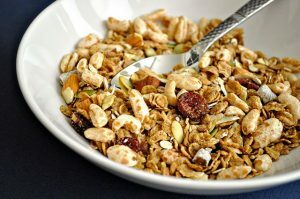 Breakfast cereals tend to be based on grains – some are wholegrains (such as wheat, bran, oats), and others are refined grains (such as maize and rice). Many also have nuts, seeds and dried fruit added to them. Wholegrain cereals can help to manage blood glucose levels, particularly if you have type 2 diabetes, as they release glucose more slowly as they are low GI. Recent guidelines highlighted that, as a UK population, we are having too much sugar and not enough fibre. Fibre is important for gut health and some can help towards lowering cholesterol. Some cereals also contain vitamins and minerals such as iron, vitamin D, and B vitamins such as folic acid. Folic acid is important for healthy red blood cells and also needs to be taken as a supplement both before, and during, pregnancy to reduce the risk of neural tube defects in unborn babies. Folic acid is especially important in pregnant women with diabetes as they need a higher than normal dose in order to prevent these birth defects. However, beware – some cereals that may appear healthy are not always as good for you as they seem… they can contain high amounts of free sugars and are lower in fibre than is recommended. Remember, the guideline for daily sugar intake for an ADULT is 30g per day. Here are the findings. Please note that the nutritional information provided does not include milk. Two of the breakfast cereals – Nestle Shredded Wheat and Weetabix – were both low in sugar, fat, saturated fat and salt. Other cereals were found to have moderate to high amounts of sugar and fat. The cereals that score high in fat but low in saturated fat are ones in which the fat mainly comes from unsaturated sources. Two of the cereals – Kellogg’s Fruit and Fibre and Jordan’s Crunchy Oat Granola – scored high for sugar. This sugar comes from sweetened dried fruit added to the cereal, along with added sugar. Be aware of portion sizes – consider whether the portion size suggested on the box is the same as the portion size you’re consuming. Many people pour a larger bowl and therefore consume more calories and more carbohydrate. This is important if you’re counting calories to control weight. Weigh your cereal a couple of times to get an idea of the amount you usually consume and then keep a note of this along with other foods you consume on a regular basis. Use this weight against the per 100g values to calculate your intake. If you don’t feel hungry first thing, try keeping a box of healthy cereal or porridge at work. Some people find this can be a better alternative to mid-morning snacking on chocolate biscuits once you start to feel peckish! https://absolute-dental.co.uk/wp-content/uploads/2019/03/sugar-breakfast-cereals.jpg 315 600 Absolute Admin https://absolute-dental.co.uk/wp-content/uploads/2016/11/absolute-logo-NEW1.png Absolute Admin2019-03-18 15:48:432019-03-18 15:48:43Breakfast Cereal - What's in your bowl? 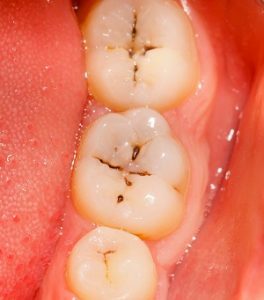 Tooth Decay may make Colon Cancer more Deadly Energy Drinks – eating away at your body parts!